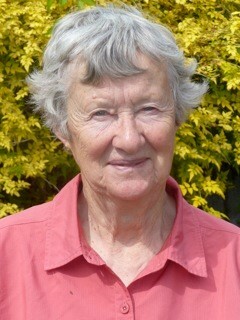 It was with great sadness that we learnt of the passing of Helen Revell, our Trustee, Volunteer and Friend. For more informaton about Helen please follow this link. 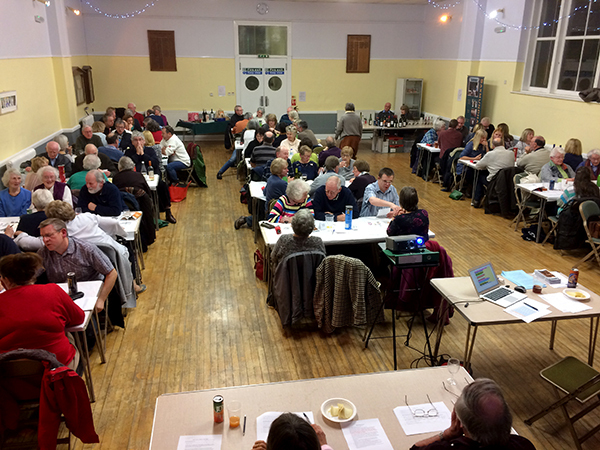 The Museum held a quiz night on Saturday 4th February in the Market Hall. 16 teams of quizzers enjoyed a lively evening. Thank you to everyone who came along and helped make it a very successfull evening. 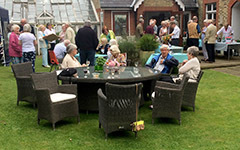 Friends, supporters and stewards of Saxmundham Museum were entertained at a summer drinks party on Friday 15th July by Christine Hayward and her colleague Mickey, who performed some familiar background material on violin and cello, whilst guests enjoyed delicious canapés and refreshing summer drinks. The event was put on to thank all the Museum’s helpers who give up their time so readily throughout the year.